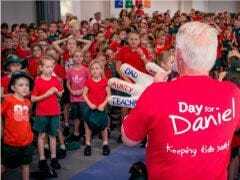 First Class Constable Sean Follows is a long term supporter of the Daniel Morcombe Foundation. He is one of our Day for Daniel Ambassadors and has raised funds for the Foundation inn the past. 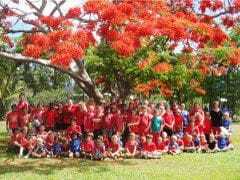 In 2018 he will be attending various shopping centres in the Perth Metro Area and South West Region of Western Australia promoting the Daniel Morcombe Foundation and Day for Daniel. A donation box is available for those who would like to assist with fundraising. I always think of Daniel, so sorry for your loss x You should be amazingly proud of all you have achieved in Daniels memory. Daniel Morcombe Foundation Donation Tin: Sportspower Bunbury. Daniel Morcombe Foundation Info Event: Eaton Fair Shopping Centre. Daniel Morcombe Foundation Info Event: Australind Village Shopping Centre. Daniel Morcombe Foundation Info Event: Kwinana Marketplace. Sports Power Bunbury Sausage Sizzle Night. Daniel Morcombe Foundation Info Event: Cockburn Gateway. Daniel Morcombe Foundation Donation Tin: Bunbury Police Station. Daniel Morcombe Foundation Info Event: Treendale Shopping Centre.